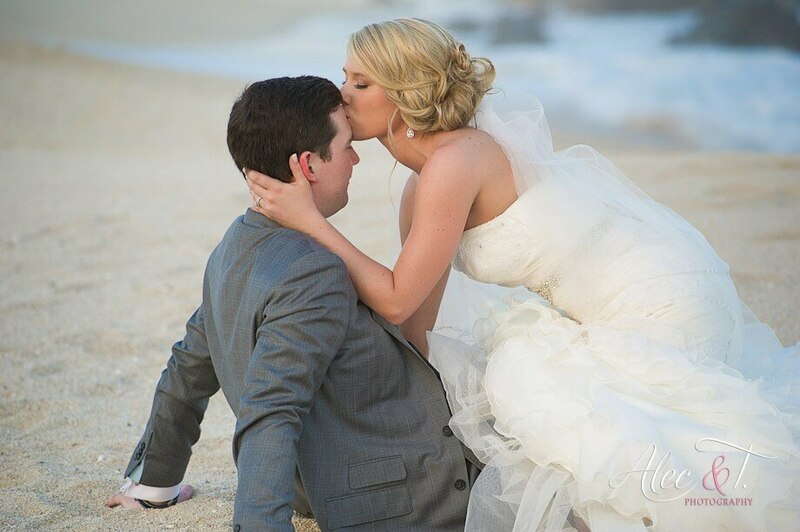 Many couples choose to wed in Cabo because the town has a special meaning for them. 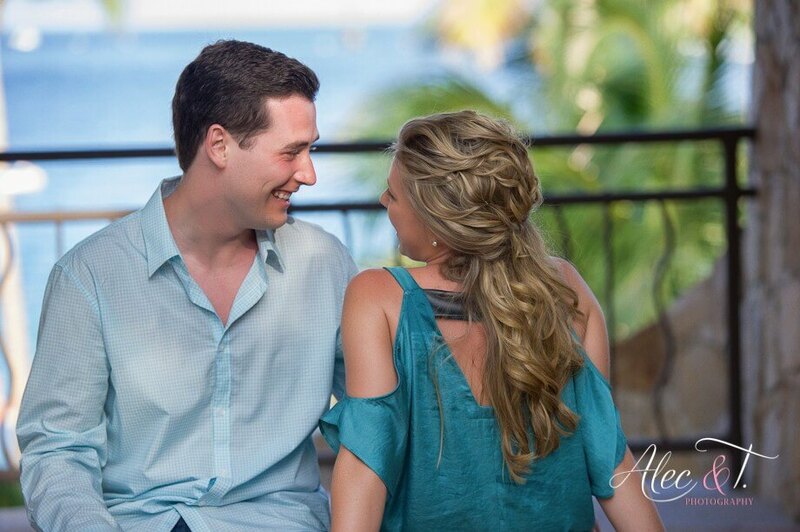 Bride Jamie and her groom love Cabo so much they had their engagement photos done here the year before their destination wedding! 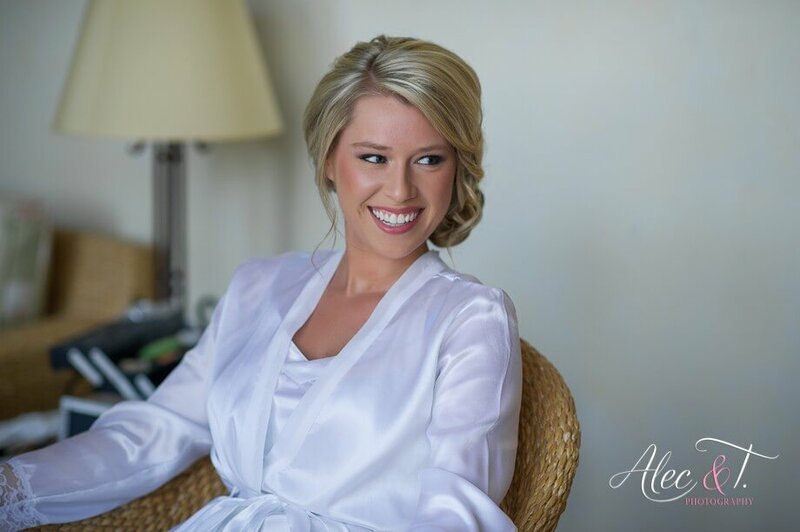 Jamie was a sweet bride-to-be who used her engagement photos as an opportunity to do her hair and makeup trial with our salon. 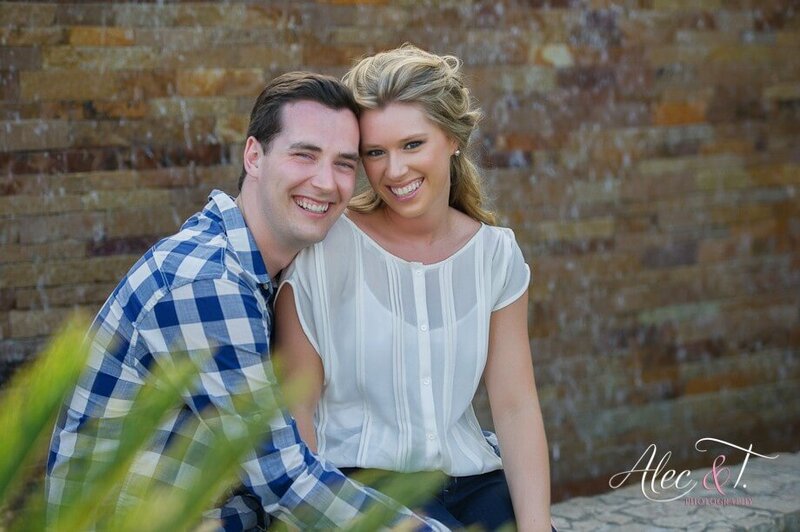 For the casual engagement shoot, we styled Jamie’s hair in a half up-do with lots of volume and kept her make-up natural and pretty. 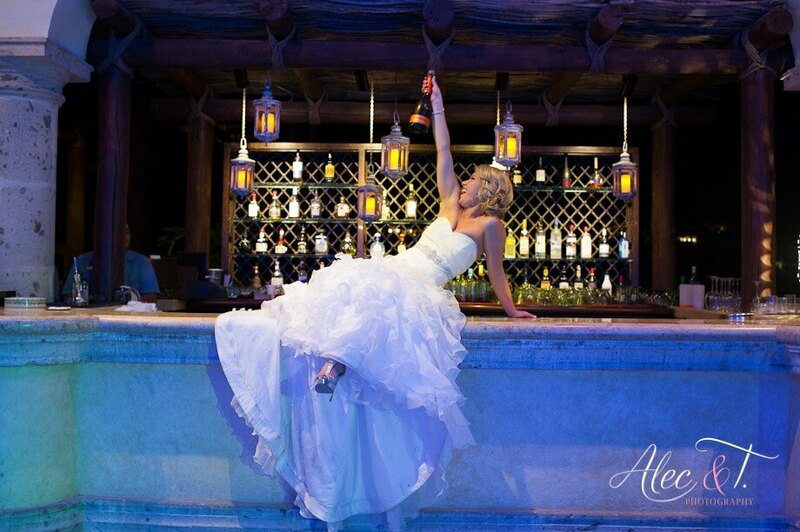 Her wedding-day style was considerably more glamorous. We did an intricate up-do that complemented the details of her gown. For Jamie’s wedding make-up, we went for a more dramatic eye and lip—just the right amount of color to look perfect in her photos. 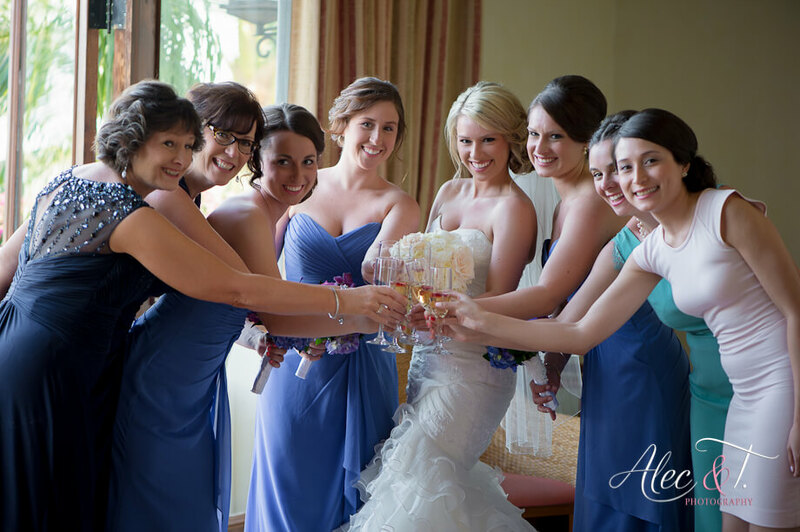 We also did hairstyles for the bride’s mother and sister, the groom’s mother and the bridal party. We did make-up for the mothers and for Jamie’s sister as well. 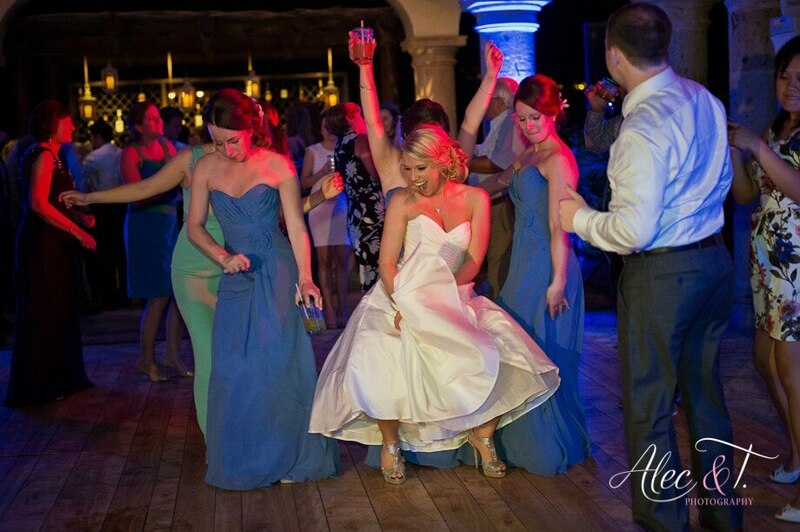 As you can see from the photos, everyone looked great through the ceremony and even after hours spent dancing the night away! 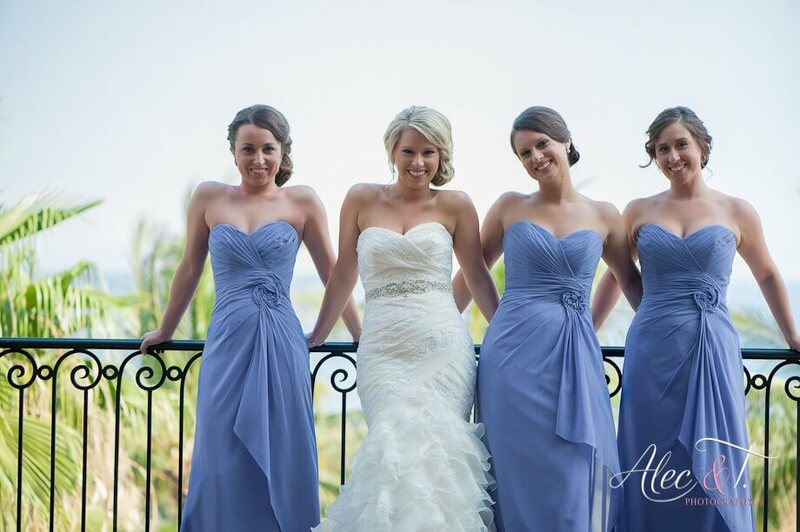 This entry was posted in Cabo Bridal Hair and Makeup and tagged bridal party hair and makeup, Cabo bridal hair, Cabo bridal makeup, Cabo bridal salon, Cabo bridal stylist, Cabo del Sol, Cabo wedding, Cabo wedding hair, Cabo wedding makeup, engagement shoot, natural makeup, Signature Weddings, Suzanne Morel, wedding hair in Cabo, wedding lashes, wedding makeup in Cabo, wedding updo.